This spring trade show season is here so don't miss out on a chance to visit with ColorID and ask our experts your identification related questions. Whether it's regarding the latest in contactless credentials, id badge printers, biometric devices or cloud based identity software - we can help! Wednesday, April 10th at 10am and 11am. The Campus Identity Roadmap - What is it, Why do we need it, and How do we create one? Ask our experts about all the important aspects of the migration process for an ID card office and the steps and considerations required. CONTACTLESS CARD & MOBILE CREDENTIAL TECHNOLOGIES - Ask our experts which technology options are best for you and learn more about your mobile options. ID BADGE PRINTERS - Stop by to check out the latest badge printer models from HID Fargo, Zebra, Entrust Datacard, Evolis and Nisca. ​We recently became a corporate member for the Stadium Managers Association and are excited about the upcoming annual conference this February. In addition to the conference, we were asked to be apart of their member spotlight for the month of January. Check out the article below and learn more about the Stadium Managers Association today. Company Description / What does your company do? For over the past twenty years,ColorID has been a highly regarded value-added integrator of security, identification, access control and biometric solutions. Though primarily focused on specific North American vertical markets, ColorID is also a provider to organizations around the world. The company’s knowledgeable and customer-focused sales and product management teams help our customers select the best products and services from well-respected and innovative software and hardware suppliers. After the sale, ColorID’s engineering team provides exceptional support for the life of those products. Our product portfolio in relation to the Stadium Managers Association consists of large format credentials (Press/VIP/Field passes), Credential badge printers and software, biometric readers (iris/face/palm vein/fingerprint) as well as physical and virtual contactless smart cards for building access. Security is of the utmost concern to all public facilities at this time, with extra emphasis on high profile facilities. 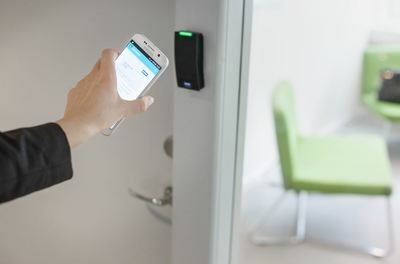 With varying levels of security at different venues, the need for industry guidelines/protocols for physical access management, secure contactless credentials and biometric authentication must be created to incorporate layers of security in the industry. An idea or invention that we wish we had thought of.. The thing that is glued to my hands/head at all times: Smart phone (and while we’re at it, heated stadium seating). One of our favorite stories that we tell about the business. If you were to speak with any member of the ColorID Family regarding working here, the majority would comment on the unique culture. There is truly a sense of family, instilled by our owners. It is our goal to extend that culture to our customers. A great example of ColorID’s culture at work. In 2013, within days of the Boston Marathon bombing, a native Bostonian ColorID staff member became aware of the “Boston One Fund.” By purchasing the Boston One T-shirt, proceeds went to assist the victims of the bombing. It took ColorID’s owner not a split second to say, “Order one for everyone on staff.” As ColorID’s Healthcare Division customers included the major hospitals caring for the injured, we decided to send along the below photo to let them know our company was standing strong with Boston. To take it one step further, members of the staff had their children’s classrooms write cards to the first responders and hospital staff which we sent along to each of the hospitals. We understand the cards lined the hallways of the hospital for weeks to come. From the mouths of babes…the cards were incredible! What are you most looking forward to about Seminar? We are extremely excited to put faces with the names and voices we’ve been speaking to over the years. Additionally, we are grateful to be able to print and issue all of the conference badges onsite at registration. It will be a great opportunity to meet/greet everyone and for attendees to be able to see the credential printer system in action. Stop by and visit the ColorID team at the C3X NACAS show this October 14th - 16th in Orlando. We will be stationed at booth 820 and will have a full array of campus identification products onsite for demonstrations and Q&A's. Over the past 19 years, ColorID has become a highly recommended supplier of security, identification, access control, biometrics and support solutions. Though primarily focused on specific North American markets, ColorID also provides these solutions to organizations around the world. The company’s highly knowledgeable and customer-focused sales and product management teams help customers select the best products and services from well-known and innovative manufacturers to meet their requirements. Also, the company’s engineering team provides exceptional support for the life of those products. Contact ColorID at 704-987-2238 or toll free in Canada and the US at 888-682-6567. Visit ColorID on the web at: www.colorid.com or email ColorID at support@colorid.com. Todd Brooks, Director of Product Management at ColorID breaks down the ins and outs of migrating to contactless technology for NACCU's video series - Talking Campus ID Tech. Todd explains several reasons why the card industry has shifted towards contactless cards, citing a vulnerable magstripe technology as an example. He adds that replacing your physical access system with contactless technology is the best way to elevate your campuses security. Additionally, student service applications such as local transit can be added to a contactless card to provide a more robust campus card for students. Stop by and visit the ColorID team at the GSX show this September 23rd - 27th in Las Vegas. We will be stationed at booth 2427 and will have a full array of identification products onsite for demonstrations and Q&A's. Danny Smith of ColorID talks about the Campus Identity Roadmap and how universities can leverage it and bring together other departments on campus to easily migrate to advanced technologies. Danny also touches on ColorID Identity Summits which provide an educational platform for campus card professionals to learn about the latest in campus identification technology. The next Identity Summit will be held on the campus of Vanderbilt University on Thursday, September 27th, register today (click here)! Director of Higher Education, Tim Nyblom attends the 2018 Canadian Campus Card Conference at the University of New Brunswick this week! 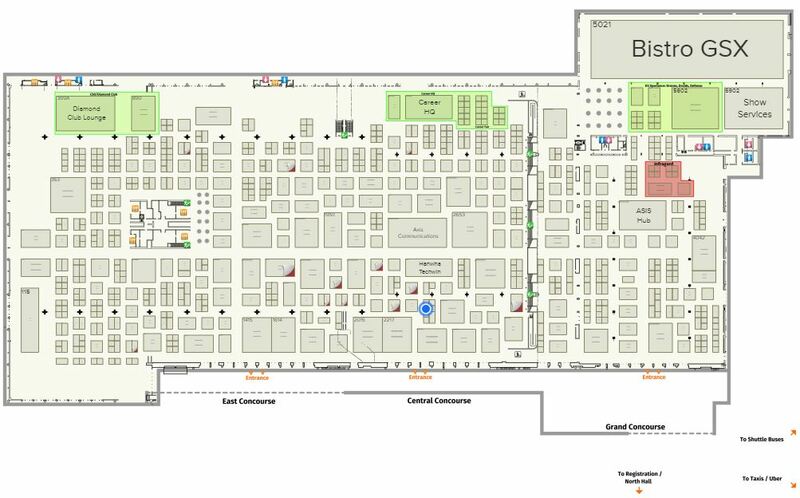 He will be exhibiting HID's Fargo Connect Solution as well as going over the latest in mobile credentials through bluetooth and/or NFC. Phoenix, AZ – May 14, 2018 – Coastal Carolina University’s CINO card received the 2018 NACCU Best Card Design Award during the 25th Annual NACCU Conference in Reno on April 25, 2018. 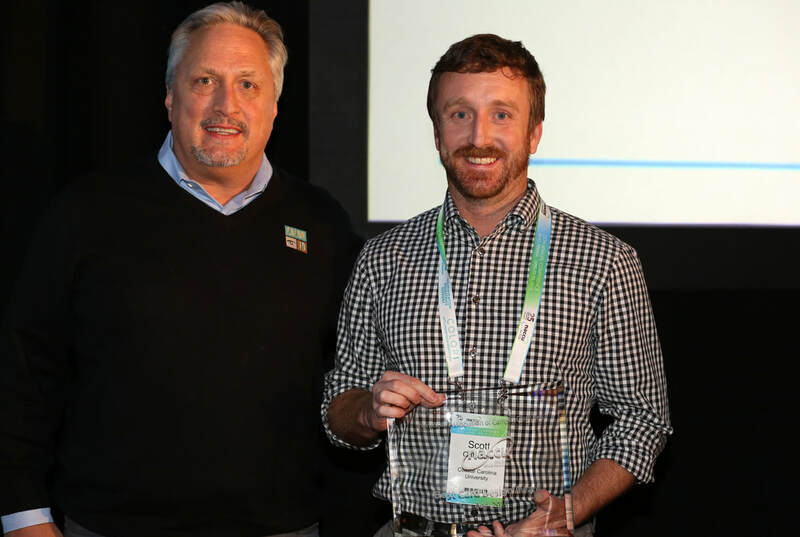 Scott Gallimore accepted the award from ColorID’s Danny Smith. The NACCU Best Card Design Award, sponsored by ColorID, is presented to the institution who is first selected as one of five finalists by the Awards Committee based on a grading matrix, then receives the most votes from NACCU members prior to and during the NACCU Annual Conference. The CINO card was redesigned four years ago, then updated in Summer 2017 to include an expiration date. 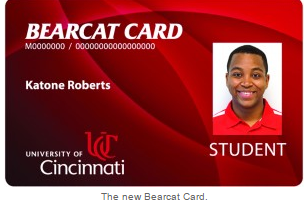 The purpose of the initial redesign was to update the card’s graphics to make it coherent with the university’s branding. NACCU congratulates Coastal Carolina University as the recipient of the 2018 NACCU Best Card Design Award. NACCU provides members access to a network of campus identification and transaction system resources to integrate and streamline campus operations, and enhance the student experience. NACCU’s mission is to advance the position of higher education transaction and identity systems through professional development and leadership opportunities for its members to stay current in an ever-changing environment. The 2018 NACCU Conference is almost here and we are excited to see you at booth #313. We are showcasing a number of new and exciting products & services sure to help your campus move to the next generation of your identification program. Have your questions ready, we are ready to help tackle your latest identification conundrums! WHAT IS ColorID SHOWCASING AT BOOTH #313? The Campus Identity Roadmap - What is it, Why do we need it, and How do we create one? 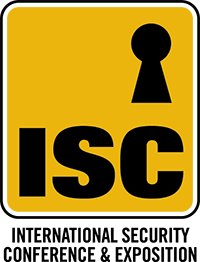 Stop by the booth to learn about all the important aspects of the migration process for an ID card office and the steps and considerations required, including creating a summary of your card office vision, current state, and helping you identify where you need to be in 3 to 5 years. Allow us to help you with the steps you need to take for reviewing your existing technology and infrastructure and how you get there. ColorID “CHOICE” Program - Flexible, Customizable and Cost Effective! ColorID’s CHOICE program offers higher education institutions a cost effective approach to support the evolution and advancement of identity management solutions campus wide. Come stop by the booth to learn what this is all about! CONTACTLESS CARD & MOBILE CREDENTIAL TECHNOLOGIES - Ask your questions on technology migrations and what options you have for smart card and mobile credentials. We offer all of the latest technologies with the service & support your organization deserves. 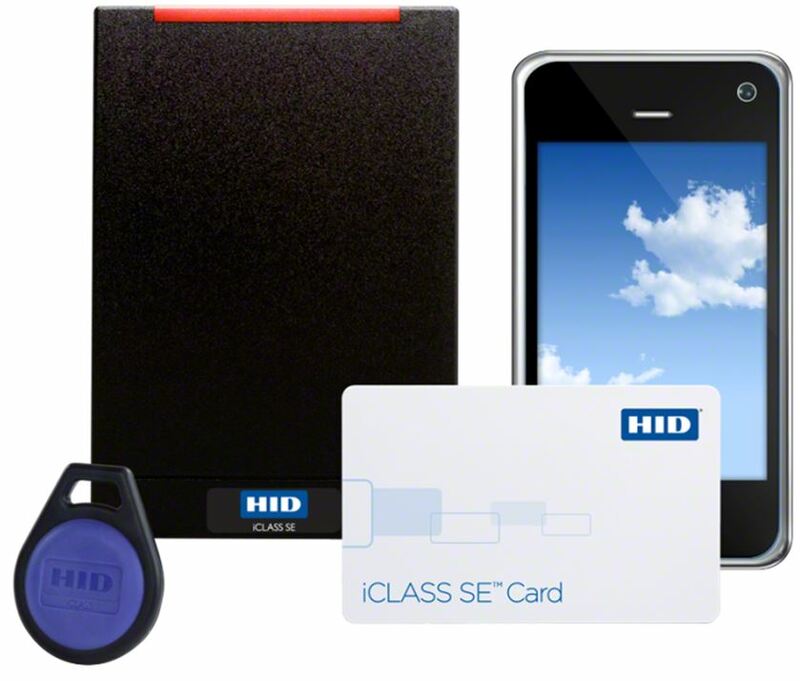 ID BADGE PRINTERS - Stop by to check out the latest badge printer models from HID Fargo & Entrust Datacard. These printers are state of the art and best in class! This year our NACCU Conference team includes Danny Smith, Tim Nyblom, Mark Degan, Todd Brooks, Joe Wright, Alicia Bensley, Brian English, Cassie Bunner and Matt Genovese! Safe travels and see you in Reno!